A major new NHS facility will be handed over at the flourishing Capitol Park Barnsley at Dodworth by Junction 37 of the M1. NHS Blood and Transplant signed a deal with CDP Marshall, the developers of Capitol Park, to build a new 75,000 sq ft bespoke blood facility last year. The building is now complete and, following a comprehensive fit-out, staff will move in next year. Marshalls have worked closely with the Barnsley Metropolitan Borough Council and Enterprising Barnsley to bring the project to fruition. 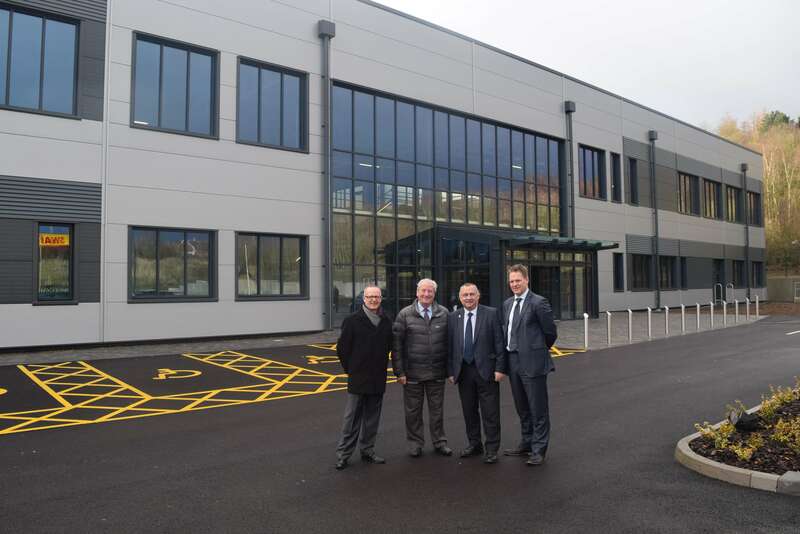 A spokesman for CDP Marshall said: “We are delighted this high-quality building is now complete. I believe the decision to site this bespoke NHS blood centre here is an endorsement of the location of Capitol Park, Barnsley, which is already established as one of the finest mixed-use business parks in South Yorkshire. NHS Blood and Transplant is responsible for blood, organ, tissue and stem cell donation. It carries out cutting edge research and provides specialist services to hospitals in the region. The new centre will be home to many teams and functions including specialist laboratories, specialist nurses in organ donation and support services. Chris Sims, accountable executive for NHS Blood and Transplant, said: “It has been fantastic to see the building taking shape and we are very excited about the next phase of development of our state-of-the-art centre. Now the centre has been handed over, we can begin the extensive fit-out of the interior. We expect the facility to be open by summer 2020. Rebecca Schofield, partner and head of property consultancy Knight Frank’s industrial property team in Yorkshire, who is advising Marshalls, commented: “This is tremendous news for Capitol Park. Our client was able to offer a bespoke solution swiftly for NHS Blood and Transplant which helped secure the deal. Once fully developed, more than 1000 jobs will be created at Capitol Park, as it is transformed into a quality business park. For further information please contact Robert Beaumont of Robert Beaumont Associates on 01423 323139. NHS Blood and Transplant is a joint England and Wales Special Health Authority. It provides the blood donation service for England and the organ donation service for the UK. It also provides donated tissues, stem cells and cord blood. NHSBT is an essential part of the NHS, saving and improving lives through public donation. The new NHS Blood and Transplant centre will replace two older bases in Sheffield and Leeds. The investment in the centre will allow NHSBT to continue to deliver its life saving services while reducing costs for the NHS in the long term.